Wedding PR: Charm City Wed, About.com, Catersource and More! Happy Friday everyone! We are so excited for this week’s press roundup featuring Charm City Wed, About.com, Catersource, and much more! Check it all out below! 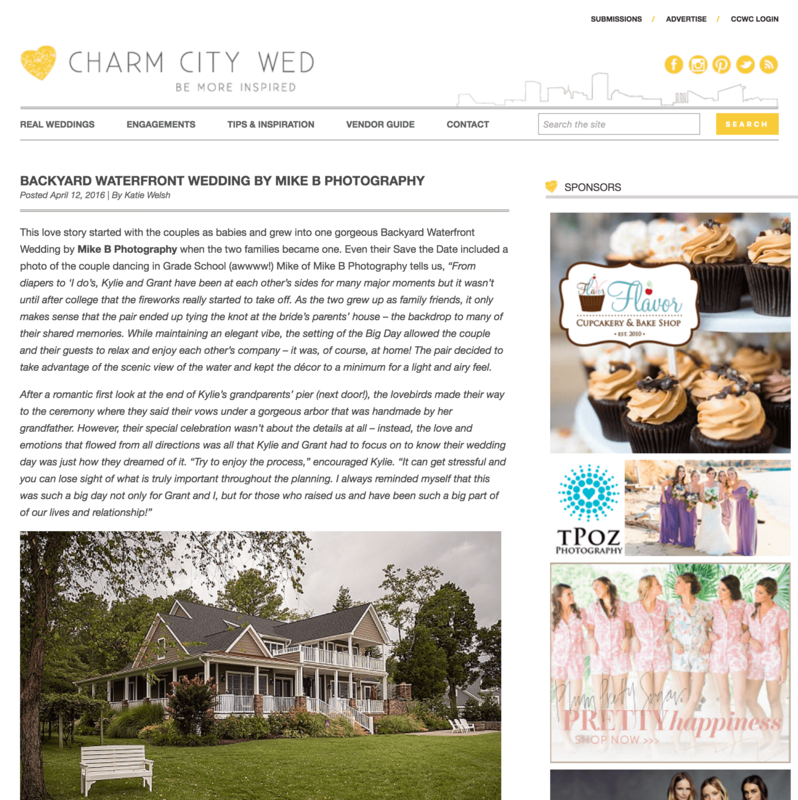 This backyard wedding from Mike B Photography was so lovely to look at and we were so happy to see it featured on Charm City Wed! See the full feature here. 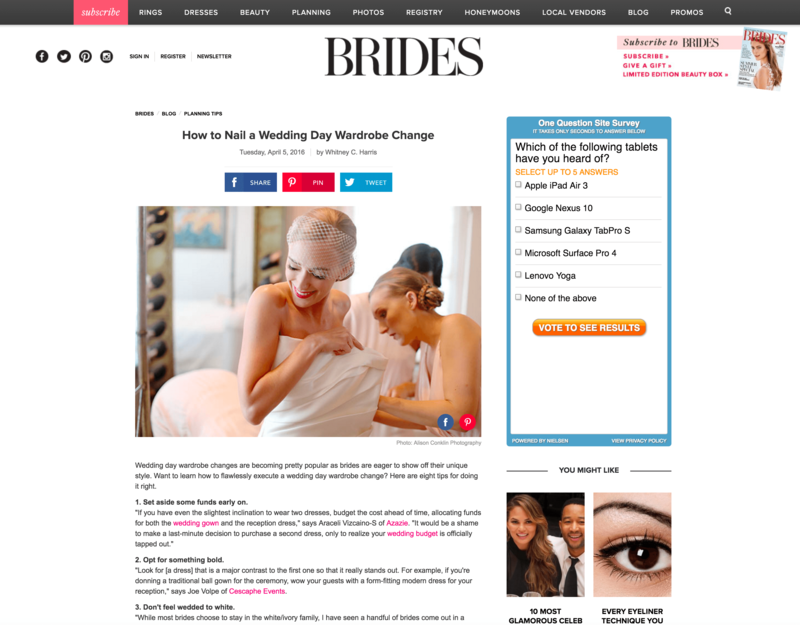 This Brides.com article about nailing a wedding day wardrobe change featured our friends at Azazie, Fantasy Sound Event Services, Cescaphe Event Group, and Taylor’d Events! See the full article here. 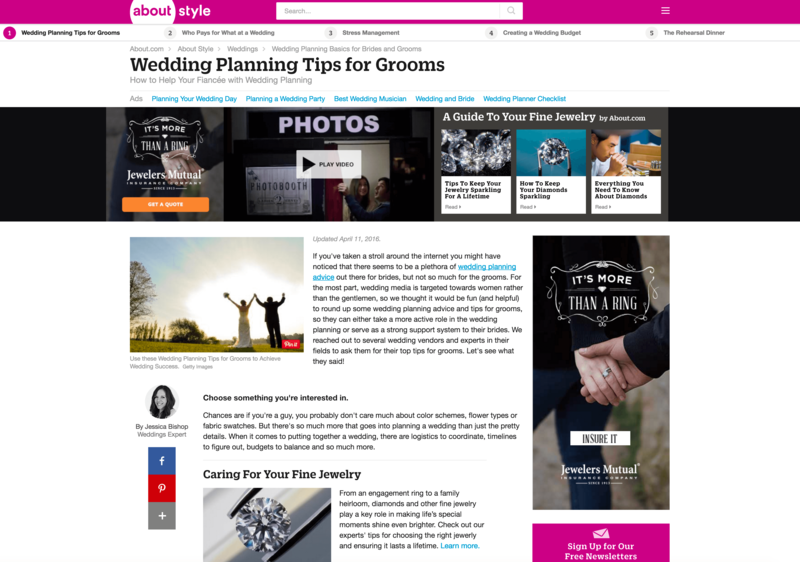 We were over the moon seeing Where Will They Stay?, Taylor’d Events, Azazie, Bergerons Flowers & Events, 100 Candles, Fantasy Sound Event Services, Be Photography, and Destination Weddings featured on About.com, sharing wedding planning tips for grooms. See the full article here! 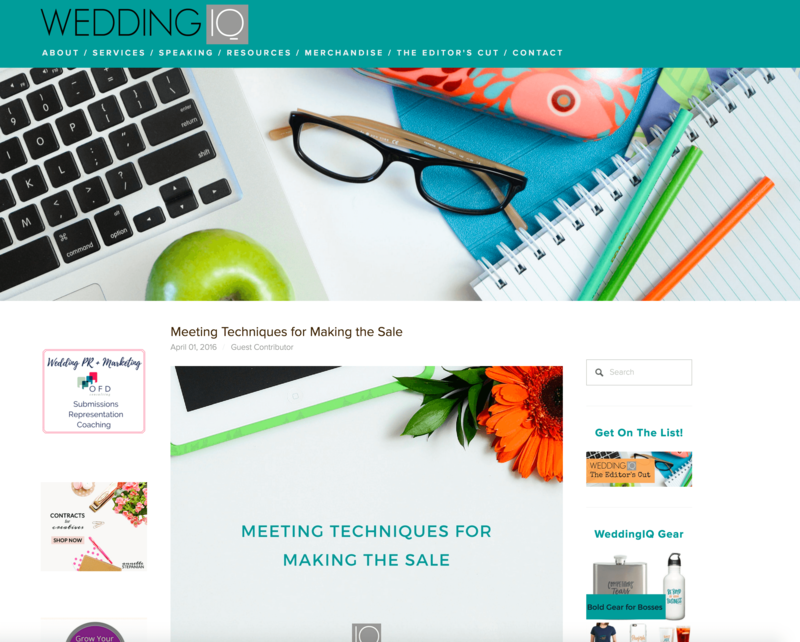 What a wonderful guest article this was from Fantasy Sound Event Services on Wedding IQ sharing meeting techniques for making the sale! Check it all out here. It’s always wonderful to see Taylor’d Events‘ guest blogs on Catersource! 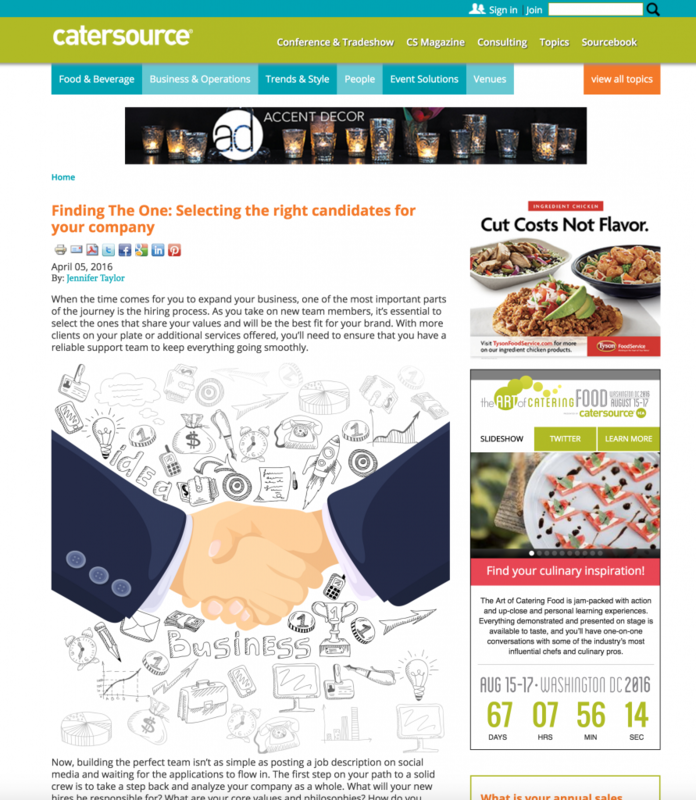 This one is all about finding the right candidates for your company. See the full feature here!